Richard Offermann was born in 1973 in Wuppertal. After studying International Business Administration in Kiel and Almería (Spain), he began his professional career as Analyst Corporate Finance at KPMG. In 2000, he joined MOTENA AG – Europe’s first automotive e-commerce platform – as CMO. He then continued his career as a consultant at Accenture and for international direct investors at Germany Trade and Invest, where his industry focus was in automotive, financial services and retail. In 2012, Offermann took on the role of Industry Head CPG and then Industry Leader in Sales at Google in Hamburg, before moving to Googleplex – the company’s headquarters – in Mountain View (USA) in 2016 as Executive Summit Evangelist. 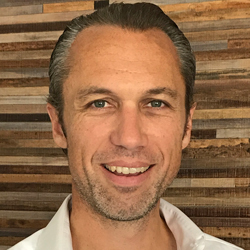 Since September 2017, he has been Managing Director Direct Sales at Ströer Digital.